There are times when you just have to escape. It doesn’t have to be rational. There doesn’t have to be any tangible monster to run from or any brutal grind from which to break free. Good or bad, things just sometimes get to be the same for a little too long, and that’s when the gear goes in the trunk and the good people go in the seats, and the vehicle disappears onto obscure highways with you at the wheel. This was one of those weekends. 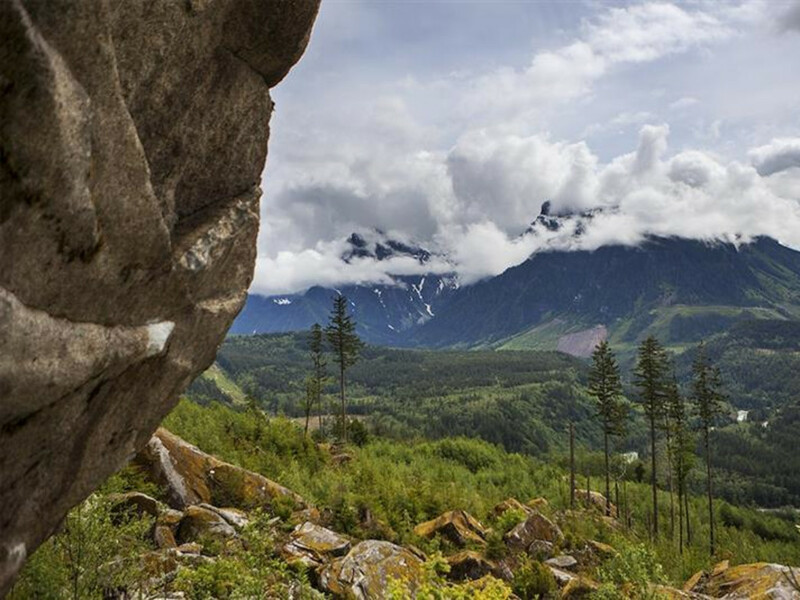 And the Gold Bar Boulders, located on Highway 2 east of Seattle, was the destination. But there were a couple of stops we had to make before we would get there. Considering it's still cross-country season and my girlfriend and I are both on the Western Washington University cross-country teams, we needed to to fit in a trail run somewhere. Thankfully, we got in a solid 10-mile loop at Tiger Mountain State Forest, dodging mountain bikers and ripping through undulating rain-forested trails. Beautiful as our home trails through the Chuckanuts are, it is always incredible to dig into the heart of a new place, get some unknown dirt on the shoes, and spend a lot of extra time at the forks in the trail. From Tiger Mountain, we jumped onto Highway 203, a sleepy and gorgeous winding route from North Bend to Highway 2. The trailhead leading to the boulders is located on Reiter Road, which runs north from Highway 2 just outside of town. By the time we finally arrived, we were losing sun fast, so rather than load up and make the two-mile trek to the campsites by the boulders, we elected to sleep in the Jeep. We awoke after a violently windy night to the first blue sky we’d seen in a while, and after a quick and simple breakfast, we hit the trail to the boulders. The power lines crackled menacingly above as we walked through the not-so-pleasant clear-cut scar, but as the road worked its way up the hillside in long switchbacks, the crackling faded and the vegetation regained its dominance. The road dead-ends at a fire pit. Directly up the hill from the fire pit are the first couple of boulders. For us, admittedly newcomers to the sport, there were plenty of V0 to V3 problems to get our hands on, but really, there's something for every level of climber at Gold Bar. And as such, we ran into a group of pretty intense climbers taking on some rather insane looking overhanging problems. For a rare sunny Sunday in the fall, it was surprisingly uncrowded. We worked the problems at a leisurely pace, mostly enjoying the sun and taking in the scenery. 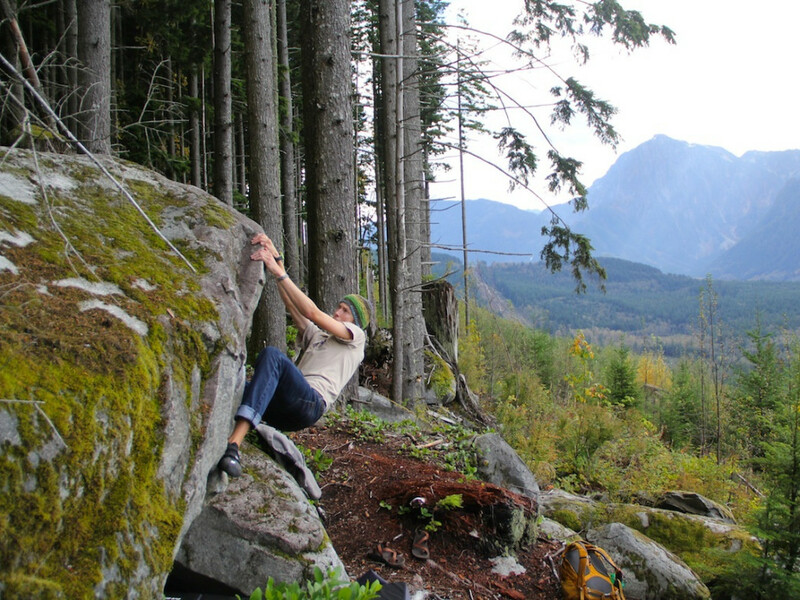 For the rock itself, it was a welcome change to dig the fingers into granite after the gritty and un-trustworthy sandstone that we're used to climbing closer to Bellingham. Late in the afternoon, we started back down the hill, forearms fairly shredded, tendons stretched, stomachs growling. It was with reluctance that we headed back toward the real world. (If you can call college life "the real world). But an escape is an escape. 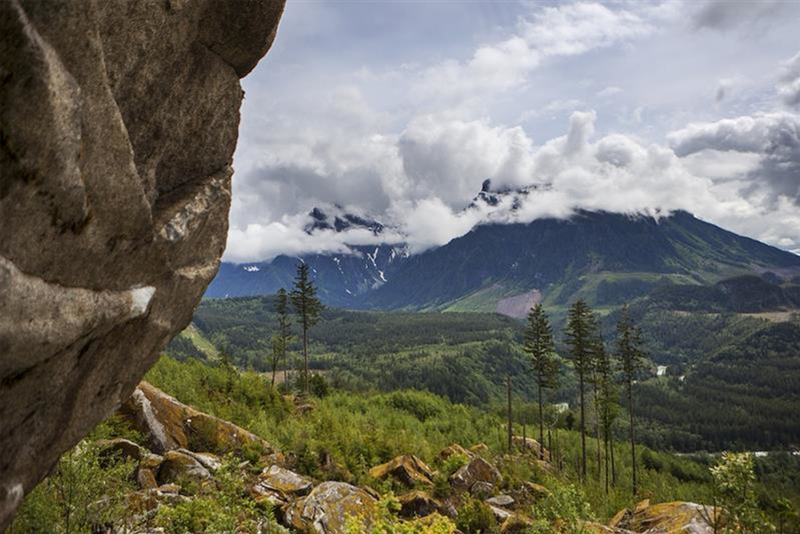 And for Bellingham residents, the Gold Bar Boulders provide a great one — mystical enough to feel far away, yet close enough to make a day trip of it. 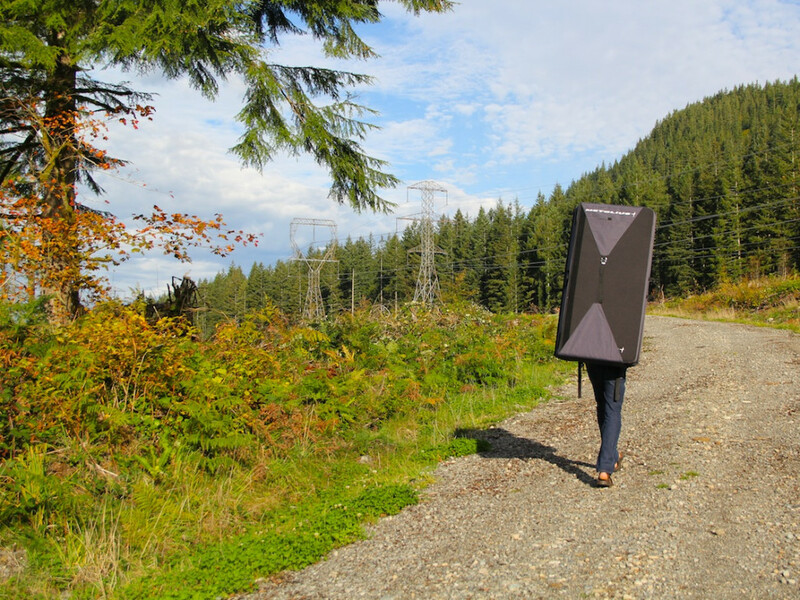 If you're a climber in the Bellingham or Seattle area, Gold Bar offers high quality climbing in a wild and beautiful place, and it shouldn't be missed. Make sure to bring a sense of adventure and a brush, because some of the problems need a lot of cleaning. But mostly, bring that sense of adventure. The National Forest Foundation promotes the enhancement and public enjoyment of the 193-million-acre National Forest System. By directly engaging Americans and leveraging private and public funding, the NFF improves forest health and Americans’ outdoor experiences. The NFF’s programs inform millions of Americans about the importance of these treasured landscapes. Each year, the NFF restores fish and wildlife habitat, plants trees in areas affected by fires, insects and disease, improves recreational opportunities, and enables communities to steward their National Forests and Grasslands. Learn more at www.nationalforests.org.